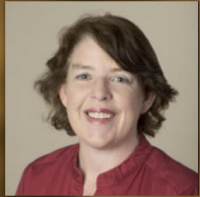 Leanne Williams, Ph.D. is a Professor of Psychiatry and Behavioral Sciences, and founding director of the Stanford PanLab for Precision Psychiatry and Translational Neuroscience. Building on the insights from the PanLab and collaborators across campus, she has launched the Stanford Center for Precision Mental Health and Wellness. She is associate chair of research strategy and chair of the major labs and translational and clinical neuroscience incubator in the Department of Psychiatry and Behavioral Sciences. 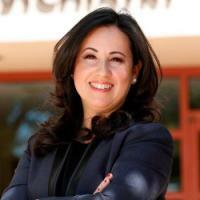 She is also director of education and dissemination at the Palo Alto VA Mental Illness Research, Education and Clinical Center. 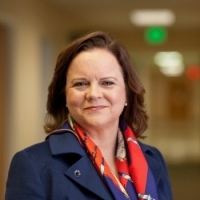 Prior to joining the Stanford community, Leanne was the founding chair of cognitive neuropsychiatry and directed the brain dynamics center at Sydney Medical School. Her PhD was completed with a British Council Scholarship for study at Oxford University. Leanne’s Center and translational programs integrate advanced neuroimaging, technology and digital innovation to transform the way we detect mental disorders, tailor interventions and promote wellness. She has developed the first patented taxonomy for depression and anxiety that quantifies brain circuits for diagnostic precision and prediction. Leanne has contributed over 250 scientific papers to the field. 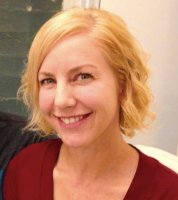 Andrea earned her PhD in psychology/neuroscience in 2014 from UC Berkeley. There she examined the impact of sleep loss on emotional brain function using high density EEG sleep recording, advanced MRI methods and emotion reactivity paradigms. Her current research in the PANLab focuses on: (1) using big data methodologies to develop a data-driven taxonomy of depression and anxiety from multiple neurobiological measures of brain function, physiology, and behavior; (2) characterizing how physiological stress contributes to amygdala-anterior cingulate-medial prefrontal dysfunctions in anxiety and depression; (3) identifying objective biomarkers that predict general and medication-specific responses to antidepressant treatment. Andrea was awarded a post-doctoral NRSA fellowship to continue this research. Looking towards the future, Andrea aims to build a program of translational clinical research that utilizes advanced computational modeling, big data principles, human neuroimaging techniques and sleep physiology to develop a precision medicine approach for the treatment of psychiatric disorders. 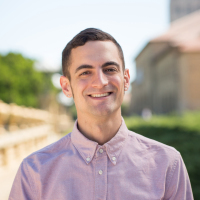 John is a recent graduate of the Stanford Child and Adolescent Psychiatry Fellowship, Research Track. Previously, he served as Chief Resident of the General Psychiatry residency at the Icahn School of Medicine at Mount Sinai, where he also attended medical school. His clinical interests are many and include working with young people with disruptive behaviors, ADHD, anxiety disorders, and family conflict. His research interests are complimentary and he has been working with Prof. Leanne Williams in developing personalized approaches to treatment of ADHD and anxiety by understanding the relationships between measures of impulsivity, inattention, and arousal across different levels of organization. 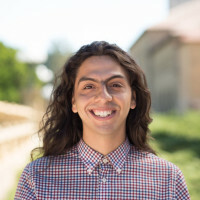 Some of this work has benefitted from collaboration and the incredible expertise in statistics and computer science here at Stanford, and he is currently working on a project involving the Apple Watch for deep phenotyping via passive data collection. 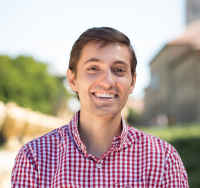 He has greatly enjoyed his time at Stanford so far and is excited to be joining the Child and Adolescent Psychiatry Division as a junior faculty member. In his personal life, he enjoys spending relaxing time with family and friends, yoga, and exploring the natural beauty of the Bay Area on foot. Dr. Michelle Madore is a licensed clinical psychologist and neuropsychologist. Dr. Madore is a clinical neuropsychologist at VA Palo Alto Health Care System (VAPAHCS) in the Sierra Pacific Mental Illness Research Education and Clinical Center (MIRECC) where she manages the program evaluation for the utilization of Transcranial Magnetic Stimulation (TMS) for treatment-resistant depression in Veterans. Additionally, she is the Co-Director for the Sierra Pacific MIRECC post-doctoral fellowship program at VAPAHCS. Dr. Madore completed her doctorate in Psychology, with a specialization in Clinical Neuropsychology, at the University of Cincinnati. 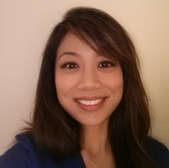 She completed her pre-doctoral internship in neuropsychology at VA Palo Alto Health Care System. She went on to receive post-doctoral training at VA Northern California Health Care System – Martinez, San Francisco VA Medical Center, and VA Palo Alto Health Care System/Stanford University School of Medicine. In her post-doctoral education, she received specialized training in clinical neuropsychology, cognitive rehabilitation, and polytrauma. She is a member of the American Psychological Association – Society for Clinical Neuropsychology (APA-SCN), the International Neuropsychological Association (INS), and the Asian American Psychological Association – Division on Filipino Americans (AAPA-DoFA). She is also involved in several leadership positions within these organizations, serving as the Finance Officer in AAPA-DoFA and the chair of the Ethnic Minority Affairs sub-Committee of APA-SCN. Tali is an Instructor in the department of Psychiatry and Behavioral Sciences who joined the PanLab as T32-funded postdoctoral fellow under the mentorship of Dr. Williams. Her primary research aim is to translate neuroscience models of anxiety into improved treatment outcomes. She received her PhD in Clinical Psychology from the University of California San Diego in 2015 under the mentorship of Drs. Murray Stein and Martin Paulus. Her dissertation established relationships between brain activation during fear extinction learning and anxiety reduction following a brief exposure intervention. Within the PanLab, her areas of research include (1) developing clinically useful metrics of brain circuit function (using data from iSPOT-D, TWIN-E, and RAD), (2) incorporating neuroscience-based assessments into clinical practice (Precision Psychiatry Continuity Clinic), and (3) evaluating an online CBT intervention for transdiagnostic anxiety and depression symptoms (RAD-CAT). She is also a therapist in Stanford’s Psychosocial Treatment Clinic, specializing in CBT and ACT for anxiety and depression. Outside of work she enjoys dancing and bad puns. 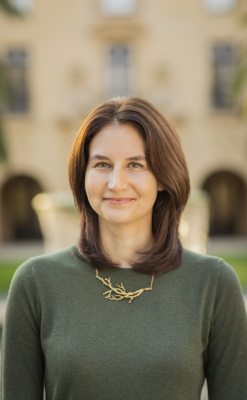 Claudia Padula, Ph.D., is a postdoctoral fellow at the VA Palo Alto Health Care System and Stanford University. 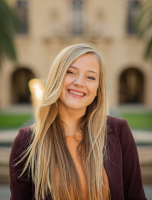 Dr. Padula completed her undergraduate work and research assistant positions at the University of California San Diego and received her masters and doctorate degrees at the University of Cincinnati in psychology with an emphasis in neuropsychology. Claudia enjoys traveling the world, gardening, and cooking. She is most proud of her daughter, Daniella. Claudia is the Prinicipal Investigator of the BRAVE Lab. 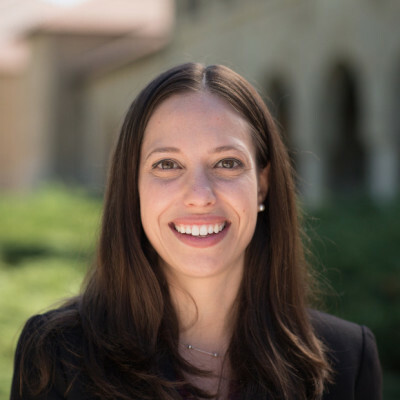 Adina is a resident physician within the Stanford Psychiatry Residency Training Program's Research Track and a T32-funded postdoctoral fellow under the mentorship of Professor Leanne Williams and Professor Alan Schatzberg. Adina received her B.Sc. in Brain and Cognitive Sciences from the Massachusetts Institute of Technology, where she conducted research on early childhood cognition. She earned her M.D. and Ph.D. in Neuroscience at Dartmouth College, School of Medicine. Her dissertation research examined the effects of cannabis on brain circuitry and cognition using advanced MRI methods, pharmacologic interventions, clinical, behavioral, and cognitive assessments. Her clinical interest is in college mental health, focusing on treatment of mood and anxiety disorders through psychodynamic therapy, psychopharmacology and patient specific strength-based approaches that enhance resilience. 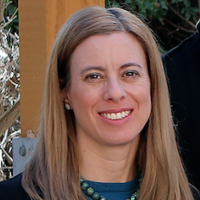 Her current areas of research complement her clinical interests and include: (1) examining neuroimaging, behavioral and clinical correlates of resilience (2) investigating differential predictors of antidepressant treatment response as they relate to quality of life measures, emotion regulation, and cognitive function and (3) developing improved pharmacologic interventions that better preserve and treat cognitive capabilities in depressed individuals. Leonardo graduated as a Medical Doctor from Pisa University and Sant'Anna School of Advanced Studies in 2013. Immediately thereafter, his interest in the investigation of mood disorders using Magnetic Resonance Imaging led him to join the R'Birth Consortium, a Marie Curie Initial Training Network spanning across 7 European countries. In 2017, he was awarded his Ph.D. from Trinity College Dublin for his research on the interaction between genetic risk factors, epigenetic modifications and environmental stressors as predictors of structural and functional brain changes related to Major Depression. Leonardo joined the PANLab at the start of 2018 as a post-doctoral fellow within the framework of the Human Connectome Project. 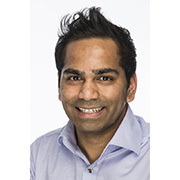 His goal is to use functional and structural connectivity analyses to develop precision psychiatry metrics related to the biology underpinning anxiety and depression. By combining connectomics and predictive algorithms, he also aims to assess the potential of these measures for clinical applications such as guiding treatment selection and estimating therapy response. In his free time, Leonardo enjoys practicing martial arts, playing video-games, reading and discovering the local culture. Sahar is graduating with a PhD in Biomedical Informatics from Emory University. 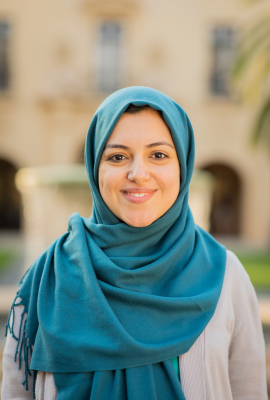 She received her Master’s degree in Computer Science from the same university and her Bachelor’s degree in Software Engineering from Sharif University of Technology in Iran. 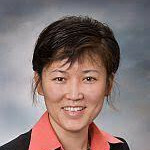 Her research interests are broadly Machine Learning and Data Mining methods with application to Mental Health and Biomedical Informatics. For her thesis, she utilized advanced signal processing and machine learning techniques to study longitudinal data collected from patients recovering from Major Depressive Disorder when treated by Deep Brain Stimulation. Her research goal is to improve human mental well-being by developing computational techniques to find objective biomarkers of depression. She joined PanLab to work on interdisciplinary projects to develop predictive models of depression from physiological and behavioral measures. In her spare time, Sahar enjoys quality time with family and friends, reading and painting. 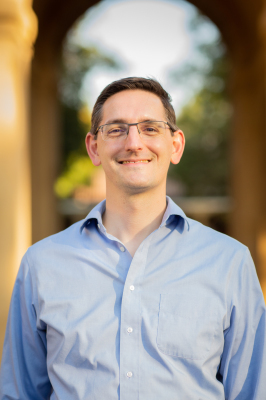 Joseph is a postdoctoral fellow at the Sierra Pacific Mental Illness Research Education and Clinical Center (MIRECC) at the VA Palo Alto Health Care System, and at Stanford University. He recently completed his PhD in clinical psychology from University of Wisconsin-Madison and his clinical internship at the VA Ann Arbor Healthcare System, with a focus on PTSD treatment. 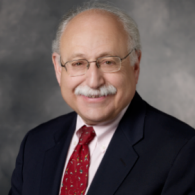 His research interests are in 1) identifying shared forms of dysregulation in neural circuitry across PTSD, pain-related distress, and emotional disorders; 2) investigating how behavioral interventions modulate these common circuits; and 3) applying neural insights to optimize emotional health interventions, focusing on individual well-being across diagnostic boundaries. At the PanLab, he is currently investigating how brain-wide functional networks predict trajectories of depression symptom change as part of the RAINBOW/ENGAGE project. Other ongoing projects include applying neural pain biomarkers to study mechanisms of change in mindfulness-based interventions, and studying relationships between neural threat responding, trauma-related cognition, and PTSD symptoms in combat-exposed Veterans. Having worked in the tech industry before his research career, he also maintains an interest in the use of digital technology to enhance mental health care. Outside the lab, Joe’s interests include meditation, electronic music, cycling and hiking in the California hills. 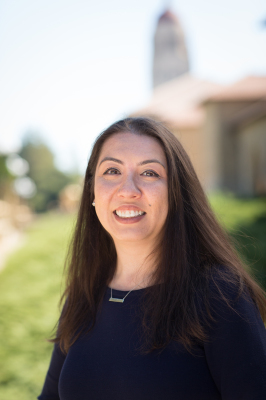 Ritchie joins the PanLab after 11 years of service in higher level administration in Stanford’s Healthcare system, excited to apply her extensive management skills in a research setting. Most recently, Ritchie coordinated programs larger projects including leading the 23rd International Caritas Consortium, 3rd Magnet Recognition Program for Nursing Excellence, CNO Town Hall preparations and administration. Ritchie is completing her Master’s in Psychology pursuing her passion for sports psychology. When she is not working Ritchie can be found coaching youth basketball, reading motivational books or taking her pug, Oscar, for a walk in the bay. Bailey received her Bachelor of Science in Neuroscience from the University of Vermont in May 2017. When she was an undergrad, she interned in a child psychiatry research lab wherein she conducted her honors thesis on various environmental factors that promote child emotional-behavioral well-being. Additionally, she participated in the 2016 Summer Neuroscience Undergraduate Research Fellowship (SNURF) at the University of Vermont, where she studied the relations between inflammation in utero of pregnant female rats and brain damage in the offspring. After graduating, she had the opportunity to participate in the 2017 Summer Program for Undergraduate Research in Life and Biomedical Sciences (SPUR-LABS) at UCLA, where she investigated dopaminergic mechanisms underlying effort-based decision making in adolescents. In the PanLab, Bailey coordinates the human connectome study and assists with the treatment studies. When she's not in the lab, she likes to spend her time exploring nature, volunteering, hip-hop dancing, and reading. 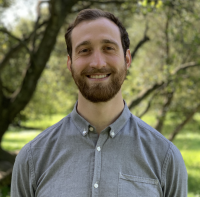 Jake joined the Williams PanLab team in January of 2019 as a Clinical Research Coordinator responsible for the compliance, implementation, and efficient workflow for neuroscience-informed intervention trials. 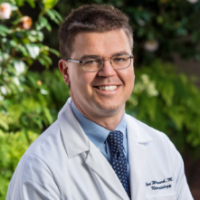 In his previous work at the Stanford Neuroscience Research Group, he oversaw industry sponsored clinical trials with the aim of developing novel therapeutics and devices for migraine and cluster headache. In his 5 years of research experience, Jake has worked across a number of projects in the neurosciences; including concussion, brain development, Alzheimer’s disease, and primary headache. He graduated from Stanford University in 2014 with a degree in Human Biology. When he’s not at the lab, Jake enjoys biking, backpacking and trying out new recipes. Sarah earned her BSc in Psychobiology from UCLA, where she worked at Dr. Matthew Lieberman's Social Cognitive Neuroscience Lab and UCLA Neuromodulation. There, she developed skills for neuroimaging data acquisition and analysis and examined the effect of non-invasive brain stimulation on behaviors related to depression. At the Panlab, Sarah works on the ENGAGE and Connectome studies. 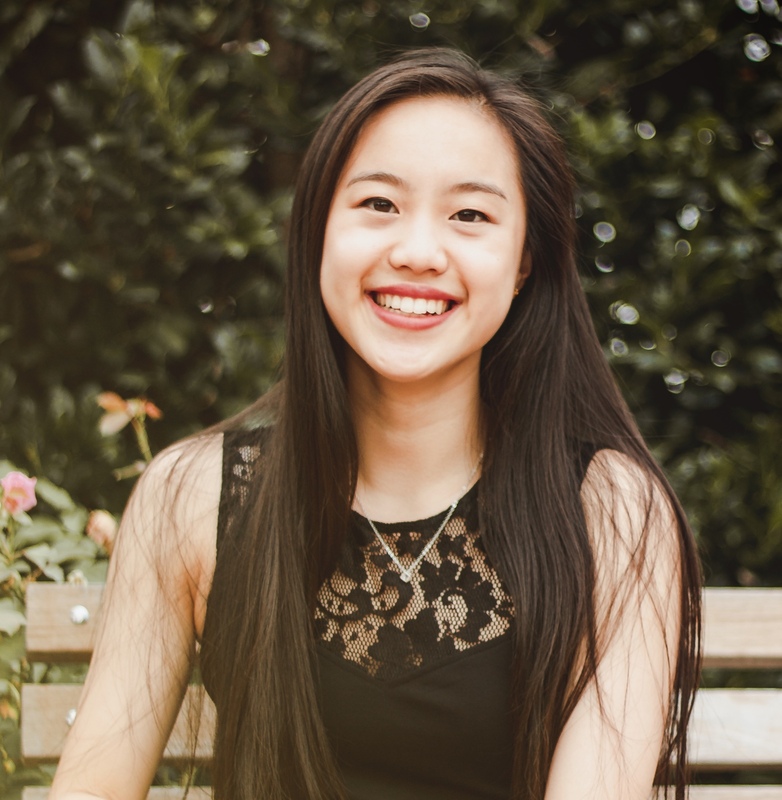 She plans to attend graduate school to pursue her interest in cognitive and affective neuroscience using human neuroimaging. Outside of the lab, you can find Sarah reading, dancing hiphop, or scouting the area for cafes. Melissa earned her B.A. in Psychology from the University of Michigan. During her time at U of M, Melissa worked on the MTwins Study, which used neuroimaging, assessment of context, and biospecimen collection to study gene-environment correlations in the development of mood disorders in a cohort of low-income adolescent twins. 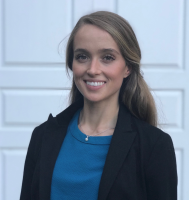 Melissa currently works as a neuroimaging research coordinator on the Connectome Study and intends to pursue a Ph.D. in Clinical Psychology. Outside of the lab, Melissa can be found wandering around local bookstores and listening to live music. David received his Bachelor of Science in Psychology and Neuroscience from the University of North Carolina at Chapel Hill. While there, he participated in research conducted at the UNC Anxiety and Stress Lab, focusing on research related to Asian American college students' mental health. David is interested in the neural bases of mood disorders and minority mental health. In the PanLab, David works on the human connectome study. Outside of the lab, David enjoys writing and reading short stories, preferably somewhere with a nice view. Serena received her Bachelor of Science in Neuroscience from the University of Pittsburgh. While there, she worked in a basic science laboratory investigating the effects of statin drugs on the developing brain, by looking at their role in the growth and migration of neural stem cells. Fascinated by reproduction and the development of the human nervous system, she hopes to go into medicine and women's health in the future. At the PanLab, she is a research coordinator for the RAD-AT study. Outside of work she enjoys playing guitar and piano, and attempting to be athletic. Megan received her Master of Science in Environmental Health from the Johns Hopkins Bloomberg School of Public Health. Her thesis research focused on developmental neurotoxicity testing in brain organoids. She received her Bachelor of Science in Biological Engineering from Louisiana State University. Her undergraduate research focused on the development of microfluidic systems. In the PanLab, Megan is a research coordinator for the Catalyst project and the Human Connectome Study. Outside of the lab, Megan enjoys volunteering, playing tennis, and traveling. Lauren earned her Bachelor of Arts in Psychology from Dartmouth College. While at Dartmouth, she worked in the Affective Cognitive Neuroscience Laboratory on projects assessing the impact of trait anxiety on performance under pressure and using neuroimaging data to develop novel models of the affective space. 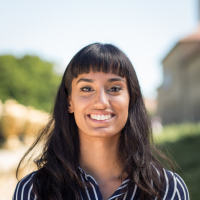 She then worked on the Science of Behavior Change project at the Geisel School of Medicine, using behavioral and neuroimaging data to better understand the mechanisms of self-regulation in clinical populations. Lauren currently works as a clinical research coordinator in the PanLab and intends to pursue a Ph.D. in psychology. Outside of the lab, she enjoys going on long runs around Palo Alto while listening to podcasts as well as attempting to ski. Cheryl earned her dual B.A. degree in Economics & Psychology while playing Varsity Tennis at Kalamazoo College. She had a previous career in Digital Media Marketing at Domino’s Pizza, and as a career-changer, she recently completed a pre-medicine Post-Baccalaureate program at the University of Michigan. During her time at U of M she worked as a Geriatric Caretaker at Michigan Medicine and as a Research Assistant on a Pediatric Endocrinology Type II Diabetes Biomarker study in the CHEAR lab under Dr. Joyce Lee. Cheryl has a strong interest in how neural pathways influence decisions and emotions, and is especially interested in working with patient populations who have chronic, life-changing conditions. Cheryl works primarily with Dr. Tali Ball on her projects using the neuroscience to help understand and treat anxiety disorders. Outside of the lab, you can find Cheryl traveling, snowboarding, and working on the leadership team of a start-up. Brooke Staveland graduated from The George Washington University with a Bachelor of Science in Mathematics and a minor in Mind/Brain Studies. 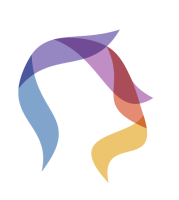 Brooke is a Neuroimaging Research Associate on the Connectome Project which seeks to characterize how connectome disorganization gives rise to disordered emotional states at the level of the individual patient. Prior to her role in the Connectome Project, Brooke utilized graph theoretical analysis to parse differences in functional networks in MDD subjects from the International Study to Predict Optimized Treatment – Depression (iSPOT-D). When not in the lab, Brooke could be found playing capoeira, supporting overly-trendy coffee shops, or swimming in the bay. Patrick graduated from U.C. Berkeley with a B.A. in Physics. He is very excited to work with PanLab managing the data pipeline from preprocessing to analysis. Before coming to PanLab, he studied nanomaterials at a research lab and then did data science at a startup. Patrick likes listening to underground music and reading long novels. Zach graduated from Stanford with a B.S. in Computer Science, and is continuing to pursue a coterminal Masters in Computer Science. He is excited by how computational models can help reveal how the mind functions, and his work as a Bridge Peer Counselor has honed his interest in mental health. He aims to apply his experience with Artificial Intelligence to the emerging field of precision psychiatry. At the PanLab, Zach works with data to advance our understanding of depression in the brain, and helps support the systems that make that possible. Outside of lab, Zach enjoys playing pickup soccer and listening to Paul Simon. Arielle earned her M.S. in Neuroscience, B.S. in Neuroscience and Psychology, and minor in English from Brandeis University. In her previous research, she explored neural oscillations associated with selective and divided attention and developed models of audio-visual sequence integration in musicians. 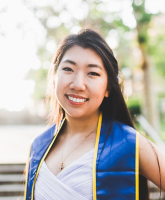 As a graduate student in the PanLab funded by the Department of Defense NDSEG fellowship, Arielle investigates neural correlates of attention impairments in depression and anxiety, and is involved in the design and implementation of the RAD-AT study. 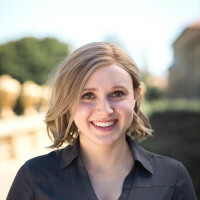 She also conducts research as a Stanford Mind, Brain Computation and Technology trainee, developing computational fMRI methods for understanding attention. Arielle is co-president of the science communication group NeuWrite West, helps to lead Stanford Science Penpals, and loves teaching kids about the brain. Andrew Bueno is a junior undergrad majoring in Human Biology with a concentration in neuroscience. His research interests include the intersection of mind and body, especially the way that mindsets can influence behavior as well as physiological processes. In a couple of years, he hopes to go to medical school and specialize in either psychiatry or neurology. In his free time, you can find him petting cats or traveling. 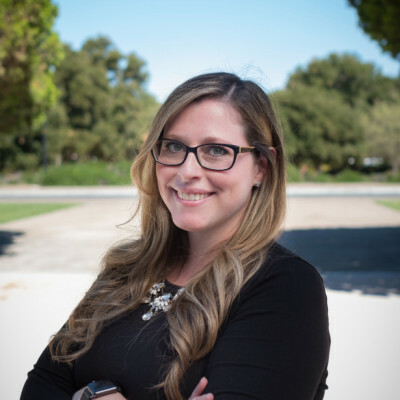 Emily is currently a doctoral student in Clinical Psychology at the PGSP-Stanford PsyD Consortium. Emily received her B.A. in Psychology from Stanford University in 2012. 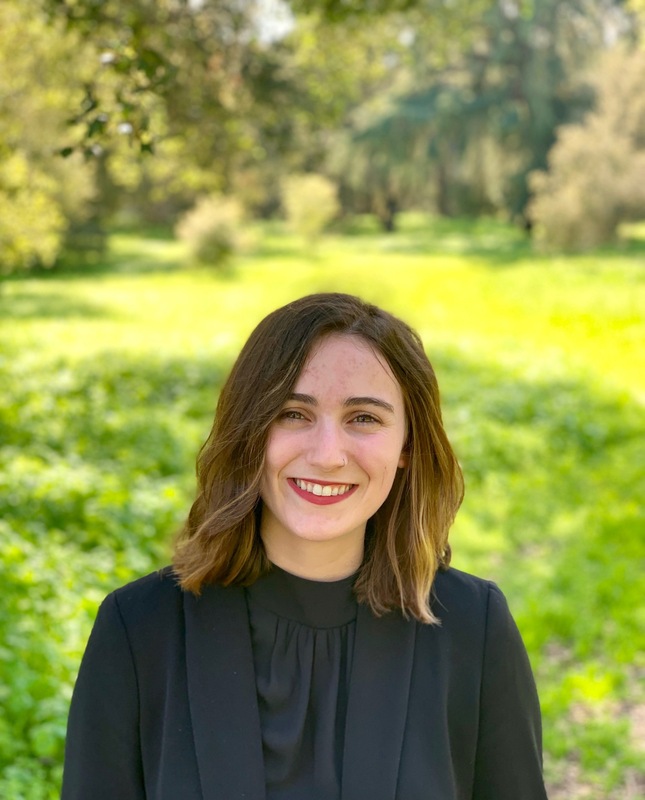 After undergrad, she worked as a research coordinator in the Carstensen Life-span Development Lab for a year as well as in Ian Gotlib’s Stanford Mood and Anxiety Disorders Lab for three years. In her free time, Emily enjoys cooking and walking her dog. Emily is currently the research coordinator for the RADCAT study, examining how online self-guided programs and applications can improve mood and anxiety symptoms. 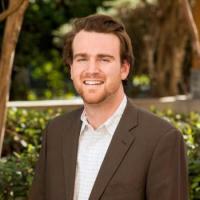 Scott is a graduate student in the Biomedical Informatics Training Program at Stanford University's School of Medicine. He graduated with a BS in Mathematical and Computational Science from Stanford in Spring 2017. Scott's primary interests involve data-driven approaches to understanding the patterns of neural activity that govern behavioral dimensions of mental health disorders. Recently, he has been working on the Research on Anxiety and Depression (RAD) study, trying to discover subtypes of anxiety and depression in the data by employing machine learning techniques like regularized feature selection, dimension reduction, and clustering. Scott also enjoys classical music, listening to podcasts on politics, and playing with his adorable nieces and nephews. 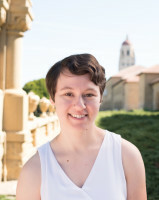 Persephone is a recent graduate of the PGSP-Stanford Psy.D. Consortium in Clinical Psychology. While in the lab, Persephone was a graduate research assistant for the RAD study. Her research interests were examining the relationships between anxiety and cannabis use on neurocognition; aspects of healthy cognitive aging; the manifestations of trauma in individuals and communities in Central African Republic (CAR); and trauma healing program evaluation in CAR. Persephone earned a master of science in clinical psychology from the PGSP-Stanford Psy.D. Consortium and a master of arts in counseling psychology from University of San Francisco. Her undergraduate work was completed at University of California, Santa Cruz. Consistent with her experience in international aid, development, and global mental health work, Persephone still loves to travel and explore as much as possible. Monica received her BSc in Psychology from University of California, San Diego. Before coming to the PanLab, Monica worked in Dr. Jamil Zaki's Stanford Social Neuroscience Lab. While there, she worked on projects investigating the effects of stress on empathy & the neural representation of social networks. In the PanLab, Monica worked on the RAD-S and ENGAGE projects. Starting Fall 2018, Monica will be attending the University of Cambridge where she will pursue a doctorate in biological science in the university’s MRC Cognition and Brain Science Unit. She aims to conduct research on the effectiveness of down-regulating negative emotions in stressful, real-world contexts, and elucidate further on neurobiological models of emotion regulations across both health and vulnerable populations. In her free time, you can find Monica painting, watching live jazz, and exploring nearby nature. Adam majored in Psychology and minored in Biology at Loyola Marymount University, and received his B.A. in May of 2015. He was previously a research assistant for Dr. Cheryl Grills at the same university, investigating intervention efficacy and environmental concerns in lower socio-economic status neighborhoods in the Greater Los Angeles area and beyond. In the PANLab, Adam worked on the PanLab's ENGAGE study. In his free time, he likes to enjoy the great range of state and national parks California has to offer. In Fall 2017, Adam started attending University of Pennsylvania where he will be obtaining a PhD in Neuroscience from the Center of Neuroengineering and Therapeutics. 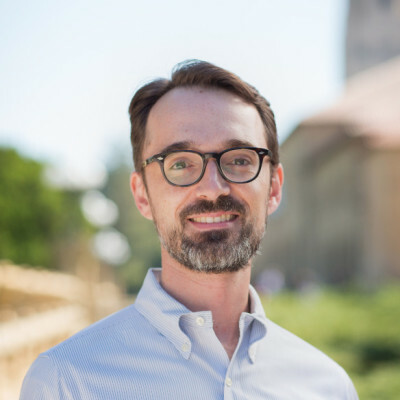 Dr. Matthew D. Sacchet is the Stanford School of Medicine Dean’s Postdoctoral Fellow in the Department of Psychiatry and Behavioral Sciences. In his research he uses clinical, computational, and neuroimaging methods to study individuals with mood and anxiety disorders. Since 2012, he has authored over 40 publications and his work has been presented over 100 times. Dr. Sacchet has been awarded funding from the National Science Foundation (NSF), National Institute of Mental Health (NIMH), National Center for Advancing Translational Sciences (NCATS), and Stanford University. His work has received coverage by major media outlets including CBS, NBC, NPR, TIME, and The Wall Street Journal, and in 2017, Forbes Magazine named him as one of its “30 Under 30”. 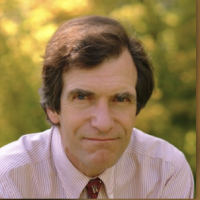 Dr. Sacchet received a bachelor’s degree from Brown University and a doctorate from Stanford University. Druthi graduated from Stanford with a B.S. in Biomedical Computation and a M.S. in Biology (with a focus on neurobiology). 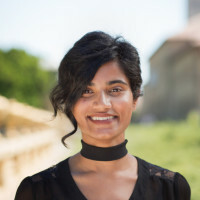 She is excited to use her backgrounds in both wearable technologies and neuroscience research to contribute to the Catalyst and Connectome projects, where she is helping to create and clinically test a wearable technology to monitor and address mental states. She spends her free time trying to understand the intersecting systems that create the environments for our (mental) experiences and tries to more frequently engage with the works of marginalized peoples, particularly those of people of color and women. Currently, she is involved in the Stanford Refugee Research Project. 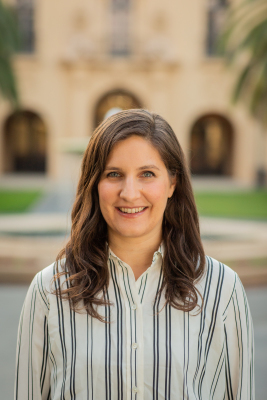 She recently also worked with Stanford Global Health on the Women Leaders in Global Health conference and particularly contributed to compiling the data that evidenced the barriers to women’s leadership in the field. Druthi also likes to go running and travels frequently to explore other parts of the world on foot. Carlos studied computer science for his undergraduate degree at University of Texas at Austin. He was a programmer for several years. Carlos works with the PanLab to streamline data management and analysis processes. He hopes to become a neuroscientist when he grows up. Carlos likes to read and take long walks in urban areas. In Fall 2018, Carlos began his PhD at Princeton University. 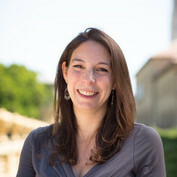 Katherine received her Bachelor of Science in Psychology from Boston College, where her research involved studying the quantification of attention allocation. In the PanLab, Katherine was the Research Lab Manager across studies, including the RAD, RAD-AT, and Connectome studies. Her research in the PanLab focused on using data-driven approaches to examine brain-behavior subtypes in transdiagnostic samples. Outside of work, she likes to run 5Ks, watch sitcom reruns, and spend time with family. In Fall 2018, Katherine began her graduate work at Harvard University, where she studies affective neuroscience and development. In the PanLab, Catherine was the Research Coordinator for the Precision Psychiatry Continuity Clinic project. Catherine joined the PanLab in 2017 after completing her Master of Arts degree in Psychology (Mind, Brain, and Behavior) from San Francisco State University. At SFSU, Catherine's research focused on utilizing smartphone technology to measure feelings of loneliness, anxiety, and depression in everyday life. Before moving to the Bay Area, Catherine grew up in Detroit, Michigan and completed her BA in Psychology at Glendon College, York University in Toronto. In her free time, Catherine rides road and mountain bikes as the Adventure Ride Leader on the Stanford Cycling Team. Liz is a first year PhD student in Biomedical Informatics. 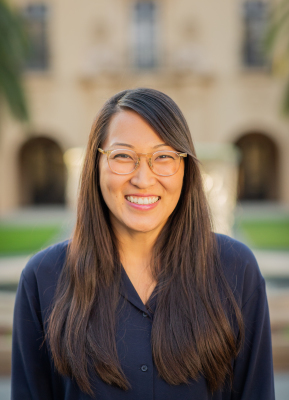 She earned her BS in Applied Mathematics from UCLA, where she worked with Prof Grace Xiao on building bayesian networks to model regulatory elements in cancer. Previously, Liz worked with Prof Rachel Martin to develop statistical methods to detect protein aggregation, as well as Prof Pardis Sabeti to identify the optimal set of clinical variables needed to make informed medical decisions that drastically reduced the time of diagnosis for Lassa Fever. Liz is interested in unsupervised machine learning methods, particularly with causal inference, multiscale, multivariate problems in time series analysis. Her rotation in the PanLab focuses on identifying patterns in longitudinal fMRI data and augmenting them with time series mobile data to find digital phenotypes for these patterns. Celestine joined the PanLab in 2016 with the aim of focusing her effort toward neuroscience research after having worked a number of years conducting forensic autopsies and pathology research with the Sacramento County Coroners. Previous research was focused in neurological disorders at UC Davis and neurotrauma with UCSF/SF General Trauma Center and Midwestern University. She completed her education in biochemistry and biomedical sciences at Sacramento State University and Midwestern University. Time permitting, she prefers to explore places that lack phone reception, tactical items and gadgets, snowblading.